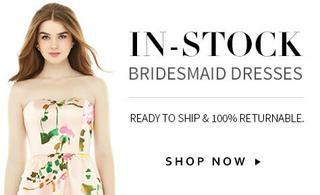 With a draped bodice and v-neckline, this lux chiffon midi-length bridesmaid dress delivers an elegant look and ultimate comfort. 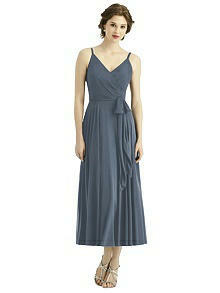 Its circle skirt creates a flowing silhouette. 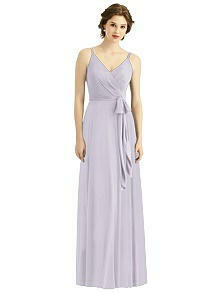 Spaghetti straps enhance its delicate form, and a matching sash at waist level completes a sophisticated design.